Several more ships are suspected of bringing banned North Korean coal to South Korea, the Korea Customs Service has admitted. 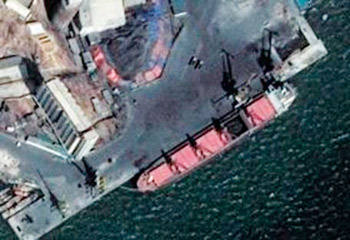 The government is already under fire for doing nothing about two ships that unloaded North Korean coal disguised as Russian product in South Korean ports. 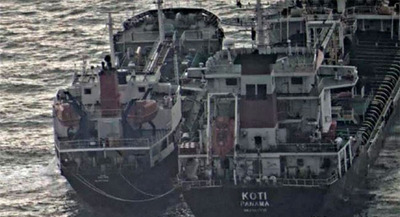 In a press release on Wednesday, Liberty Korea Party lawmaker Shim Jae-cheol said, "The Korea Customs Service has told my office that the Foreign Ministry notified the KCS of a list of several other ships, in addition to the Rich Glory and the Sky Angel, that are also suspected of shipping North Korean coal into South Korea" since the UN Security Council banned the trade last August. But the KCS did not submit detailed data to Shim saying "delicate foreign affairs and security issues" were involved. It also declined to submit its findings in a probe on the Rich Glory and the Sky Angel, saying the matter is still under investigation, Shim added. Meanwhile, North Korea has apparently resumed banned exports of iron ore to China. "Six to 10 truckloads of North Korean iron ore have been transported into China over the border bridge between Dandong and Sinuiju in July," a source in Dandong said. "Chinese customs officials have relaxed their checks." Under the UNSC resolution from last August, all North Korean mineral exports are banned.